The year 2013 in pictures: Low oxygen conditions persisted from January into August and broke a two-year anomaly of more favorable water quality conditions (lower temperature and salinity and higher dissolved oxygen). Dramatic Noctiluca blooms appeared one month earlier than normal (May), lasted for two months, and coincided with lower oxygen. Large jellyfish patches persisted over the winter but then were less visible for the rest of the year. Large drifting algal mats appeared in August. 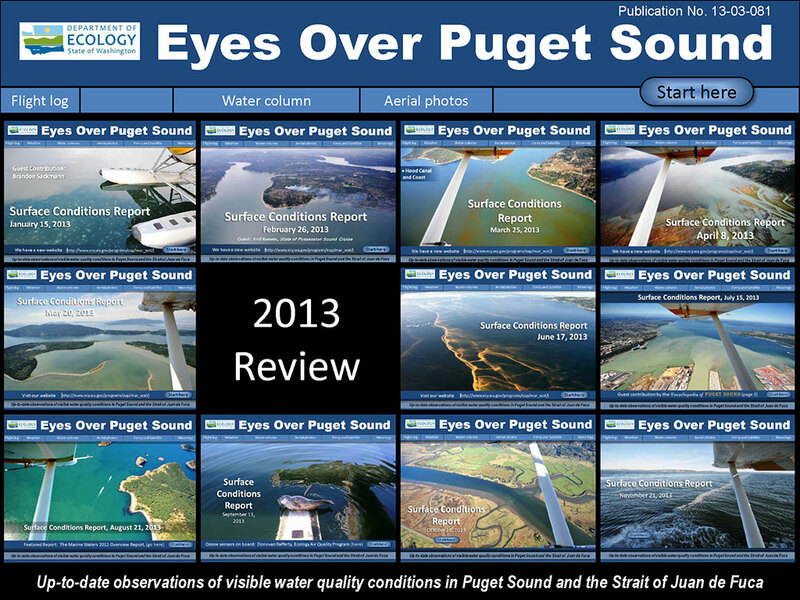 Description The year 2013 in pictures: Low oxygen conditions persisted from January into August and broke a two-year anomaly of more favorable water quality conditions (lower temperature and salinity and higher dissolved oxygen). Dramatic Noctiluca blooms appeared one month earlier than normal (May), lasted for two months, and coincided with lower oxygen. Large jellyfish patches persisted over the winter but then were less visible for the rest of the year. Large drifting algal mats appeared in August.